It’s the day to celebrate all that is Irish – including the old Irish tradition of having as much fun as can be! Here’s a sampling of what’s happening in the Shore area this St. Patrick’s Day. Crab’s Claw Inn, 601 Grand Central Ave, Lavallette: Bloody Callan, 3 p.m. – 11 p.m., corned beef and cabbage all day. PJ Sweeney’s Irish Pub, 447 Brick Boulevard, Brick: Doors open 8 a.m., traditional Irish breakfast, Irish music 12 noon to 4 p.m. (bagpipes and more), DJ Encore at 10 p.m. Shore House, 2114 Ocean Road, Point Pleasant Borough: Tent Party with 95.9 The Rat, 10 a.m. to 2 a.m., bagpipes, Irish step dancing, cabbage eating contest to win a trip, DJ Encore, free cabs all day and all night (848-210-4998). Jax Garage, 116 Sumner Avenue, Seaside Heights: St. Pats After work Party, $1 Miller Lites all night, $5 whiskey shots and $6 Irish Car Bombs, DJ Swoosh all night. 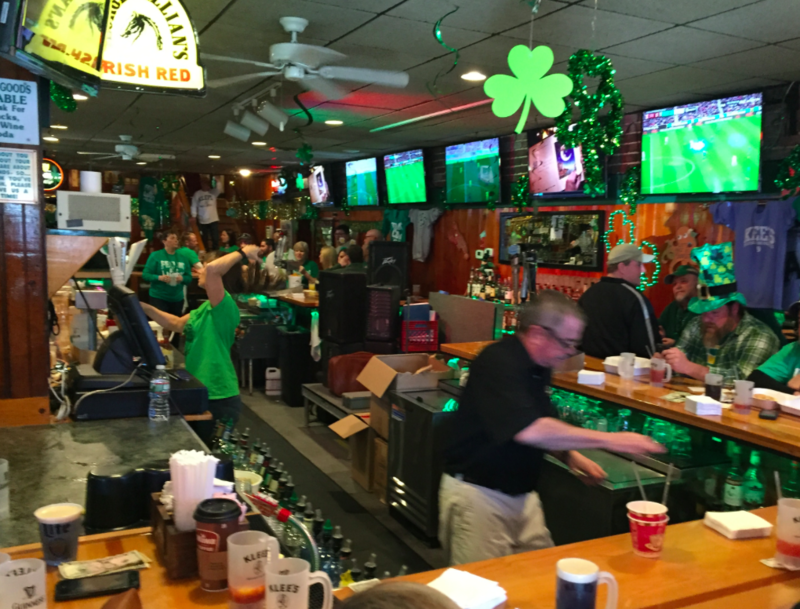 Leggett’s, 217 1st Avenue, Manasquan: Corned beef and cabbage all day, Irish Bar Bingo at 7 p.m., $5 Tito’s Vodka mixed drinks. River Rock, 1600 Route 70 West, Brick: St. Patrick’s Day Party all day, bagpipers, Jaded Monkey at 6 p.m., DJ Jon Con at 10 p.m.
More to be added as the day goes on.